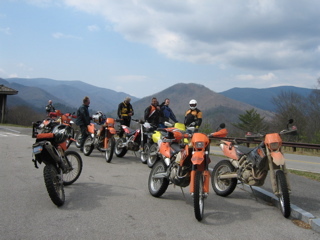 GLDS is an 501c4 non-profit organization who’s purpose is to promote and support the amateur sport and social aspects of Dual-Sport Motorcycle riding. We are a membership organization and our success is solely attributable to those members. There are near seven hundred members in the Club (see front page for current number). GLDS is a Recreational AMA chartered club. 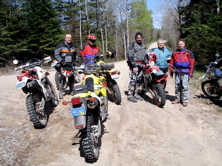 We support and promote Dual Sport motorcycle riding, generally within the state of Michigan. This includes putting DS routes together for a number of events throughout the year. 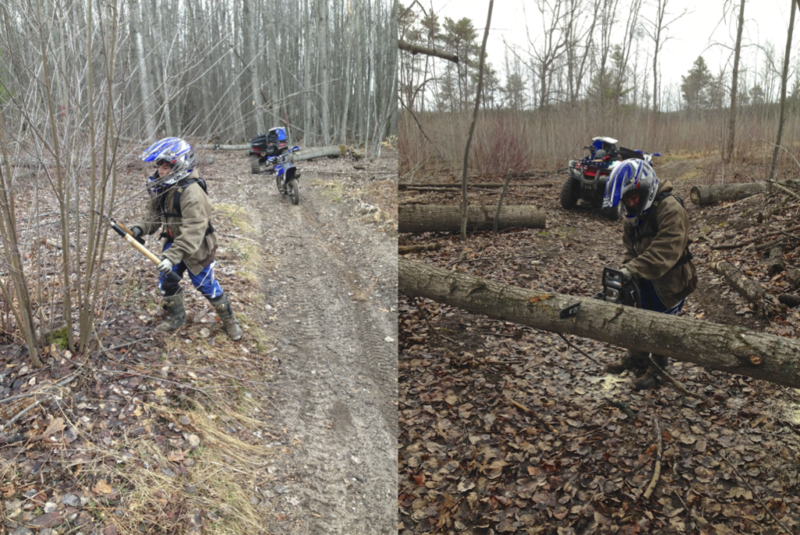 as you must remove any branches/limbs in a 50″ wide by 8 foot high rectangle on the trail. Signing the trail covers the installation of ORV trail signs (orange triangles), stop signs and posts and the other signs you see on the trail. We think most people are not aware that it is volunteers that put the signs up, wrongly assuming the DNR “does it all”. Here’s one of our Member’s installing information signs on the Geels ORV Trail. Putting a Dual Sport route together can be quite a bit of work. Once an area has been selected we must find “the good stuff”, make sure it runs by gas stations, make sure it’s legal, draw up maps to show where we’re going; get permits from the DNR to run an event through the area, actually ride the area, record the course, ride the course again and proof our work, generate the paperwork (route sheets, maps, etc.) and finally hand the paperwork out at the event. Sounds easy, no?